Na domačo stranPoročanje v živoSeznam poker turnejAussie Millions2016 Aussie MillionsEvent #2: $2,500 H.O.R.S.E. 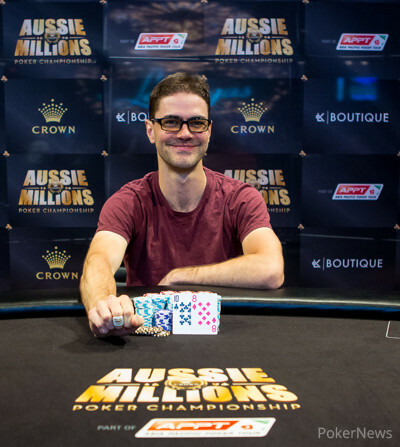 James Obst won the first LK Boutique ring of the 2016 Aussie Millions Poker Championship, taking down Event #2 $2,500 H.O.R.S.E. inside the Crown Poker Room Friday, defeating a final table full of local legends. 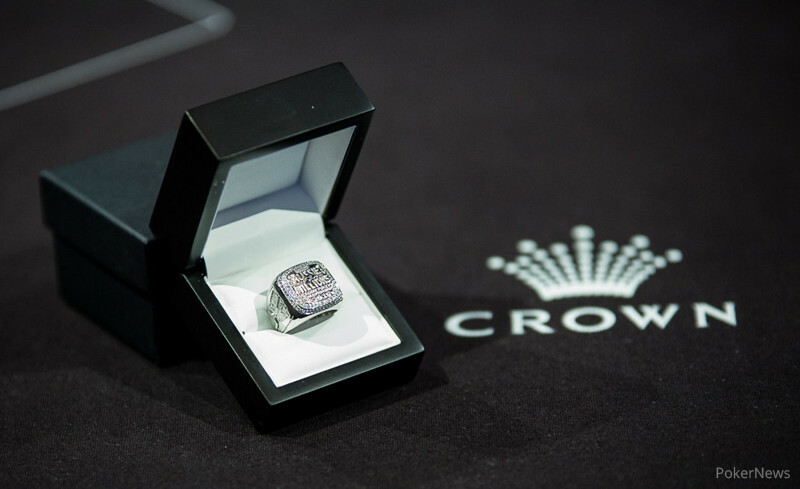 2014 Sydney Championships $5,000 Challenge winner Jarryd Godena was the first to exit the seven-handed final and 2015 Australian Poker Hall of Fame nominee Michael Guttman bubbled the money finishing sixth. 2008 Victorian Poker Championship $100,000 Challenge winner Peter Aristidou was then eliminated in fifth place after getting in on fifth street in Razz, heads up with Jan Suchanek. Suchanek make a seven-low on the river against his eight-low. Suchanek continued to run hot in Razz, eliminating Australian Poker Hall of Fame member Mel Judah in fourth when he made a 9-7-4 against Judah's 9-7-6, again on seventh street. Fellow Australian Poker Hall of Fame member Jason Gray then fell third, getting crippled in a Stud hand before getting it all in against Obst in Stud Hi/Lo, missing a low draw and ending up with a lower pair than Obst's. 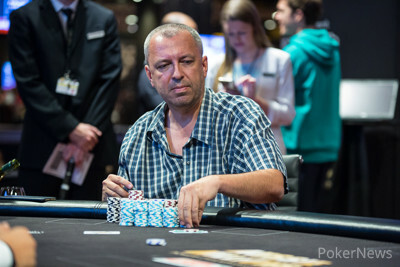 Obst took a 2:1 chip lead into heads up play and after a back and forth affair that saw Suchanek climb back close to even several times, Obst ultimately won it to earn his second Aussie Millions title. Previously, Obst won the the 2014 Aussie Millions $2,500 8-Game event, ironically defeating Suchanek heads up in that one as well. Left with barely any chips, Jan Suchanek even had to pay the big blind and called all in for another 2,500 behind when James Obst raised from the small blind. The tournament director announced "Jan is all in with seven of diamonds and three of hearts" and Suchanek joked "You don't have to say that loud" to create laughter from the entire rail. The flop paired the 10 of Obst and Suchanek was left needing running sevens or threes. The turn gave some chop outs, yet the river blanked to send Suchanek to the rail in 2nd place and crown Obst as champion just like two years ago when the duo clashed in the 8-Game Event. Two costly hands in Seven Card Stud Hi/Lo reduced the stack of Jan Suchanek to dust. In the first hand, Suchanek bet 8,000 on 4th street and called a raise to 16,000 before folding to James Obst's bet of 16,000 on 5th. Then, Obst completed and called the raise to 16,000 before firing all streets. Suchanek called until 6th street and then folded on 17th when he was pushed all in with the last bet. Both players have agreed to a short 10-minute break and James Obst holds a commanding lead over Jan Suchanek. Jan Suchanek completed and called a raise to 12,000 by James Obst before the latter fired on all streets. Suchanek called on 4th, 5th and 6th street before min-raising to 24,000 on 7th street. Obst gave it some thought and called to win the pot with two pair against a busted flush draw. Jan Suchanek had the bring in and James Obst completed. Suchanek raised it up and Obst called. Obst fired on fourth, fifth and sixth, with Suchanek calling down all three streets. Obst then called off and mucked when Suhcanek bet seventh and showed an 87. Jan Suchanek won a smaller pot with on a paired board before losing the next two bigger hands in a row to James Obst. Obst raised to 12,000 and Suchanek called to bet the flop for 6,000. Obst called and Suchanek then check-called 12,000 on the turn. The same story repeated itself for the river and Obst showed for a full house, threes over kings. Two hands later, Suchanek limped in and called the raise to 12,000. On the flop , Suchanek bet 6,000 and was called before betting again the for 12,000. Obst didn't go anywhere and made the call before checking through the river. Suchanek only had for a pair of jacks, Obst showed [Aa,Kc,Kh,5c] for a pair of kings. James Obst limped in and Jan Suchanek checked. The flop brought a bet from Suchanek and a call from Obst. The turn saw Suchanek lead again and Obst call. Finally, on the river, Suchanek fired again, but Obst would not go away. Suchanek showed for two pair, but with no low to speak of, Obst scooped holding the for trips.